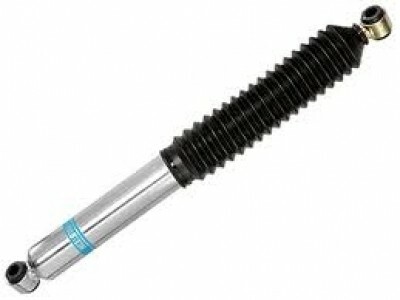 NorCalTruck would like to offer Chevy/GM truck owners our best options we have found from our years researching and testing different Bilstein shock combo's. Since around 2005 NorCalTruck has had received a tremendous amount of feedback from our customers to reflect our suggestions per your personal truck set up and driving style. Front selection is good from factory ride height to leveled including Cognito UCA upgrades. When Cognito UCA option is selected you will recieve Cognito built Bilstein shocks, these are not standard off the shelf Bilstein's that hold standard Bilstein prices, this is the reason for the increased price of the package. Rear selection is good from factory ride height to 1" over. These shocks will work on the NEW GMT900 chassis. Great daily driving, towing from small to large loads. Preferred valving for OE to large tire & wheel combo's. These Bilstein shocks are boxed with all the correct hardware needed for installation on a Chevy/GM 8-lug truck, using OE shock bolts.